Microsoft has appointed Lim Bee Wah as Enterprise Commercial lead in Malaysia, recruiting the industry veteran from the country manager role at DXC Technology. “I am excited to be a part of Microsoft, as the company is a household name, being at the forefront of digital transformation with their superb products, software and solutions,” said Lim. “Microsoft is a force to reckon with, being so successful with innovative products and services that are futuristic. "I am truly excited to be part of this fantastic organisation and I look forward to working with this committed team to thrive our enterprise partner ecosystem and bring our customers’ digital transformation ambition to life." Lim will hold responsibility for the transformation of Microsoft Malaysia’s sales teams including relationship, technical and industry sellers. Furthermore, she will also be tasked with strengthening the vendor’s partner ecosystem, helping to build a profitable business as well as enabling them to recognise and respond to new opportunities. Lim will also aid partners in identifying and connecting new customers with market solutions and emerging technologies such as artificial intelligence (AI), Internet of Things (IoT) and machine learning. 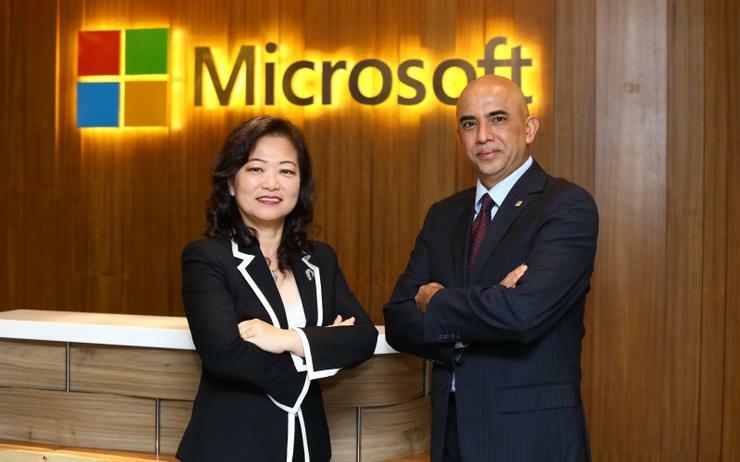 “We are thrilled to have a talented leader like Datin Lim leading this division in Malaysia,” said K Raman, managing director, Microsoft Malaysia. “Her strong track record and in-depth industry knowledge will ensure our customers and partners have the right resources at-hand to be successful. "We are confident that Lim, together with the senior leadership team at Microsoft, will continue to shape and contribute to Malaysia’ business environment." Lim joins Microsoft Malaysia from DXC Technology where she held various roles in management, sales, account management, consulting and delivery and support roles, having joined parent company Hewlett Packard before the formation of DXC Technology and Hewlett Packard Enterprise. In her most recent role with DXC Technology she held the position of country managing director for Malaysia. During her time in HP prior to the merger, she held several roles as country general manager for Malaysia, enterprise services managing director, enterprise services sales lead and consulting and integration country lead.